Looking for a USED H-22A-120? hyd·mech inc. is internationally recognized as a world leader in the design and manufacture of heavy-duty band saw and material handling solutions. with conveniently located manufacturing and distribution facilities in the u.s., canada, and the united kingdom, we can quickly and efficiently service our wide-ranging customer base. from steel service centers, to structural fabricators, machine shops, tool and die shops, job shops, and automotive and aerospace customers, we are building a reputation for rock solid machine performance around the globe. 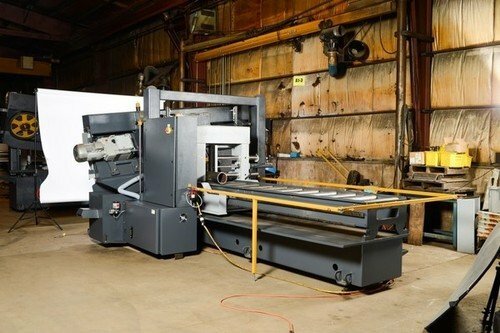 today, our machines are used in every type of industry and for virtually every type of job, delivering the ultimate in precision cutting and unmatched cost-per-cut performance. Looking to Purchase a New HYD-MECH H-22A-120?